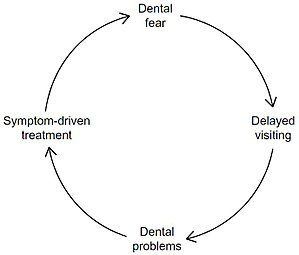 Fear of Visiting The Dentist, and how it really can be overcome! More than ten million adults in the UK have some level of dental anxiety. Not only does this mean bad news for the health of your teeth and gums but it can also have a significant impact on your quality of life. Being apprehensive about paying a visit to a dental professional is an incredibly common problem. As many as one in five reportedly suffer from some level of uneasiness, ranging from mild nervousness to medically recognised dental anxiety. Fear was identified as the biggest barrier by both men and women as a major barrier to dental visits, and interestingly, it was far more common in women (21%) than men (16%). 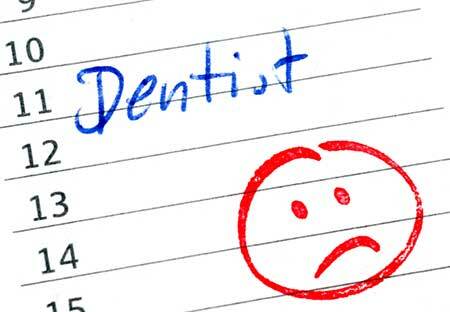 Odontophobia, more commonly known as dental phobia, is the fear of dentists and dental treatment. If fear stops you going to the dentist, it can cause you big problems. Avoiding check-ups and treatment gives any issues the chance to get worse – possibly leading to dental emergencies. Dental anxiety can be relatively easy to overcome, often patients just need the help of a caring dentist. Dental phobia is common, and it certainly won’t be the first time your dentist has encountered a patient that suffers from it. Vocalising your worries can often make them seem less overwhelming. A little support and encouragement can make all the difference. Reading about other people with similar issues can make you feel less like you’re the only person in the world with a dental phobia. Any, you might learn some useful tips on how to deal with it. Here at Absolute Dental, we have a book of testimonials which include patients who arrived as nervous patients and left with much more confidence after finding care and understanding here. Ask to read our testimonials. Knowing other people have been in the same boat, can be just the encouragement you need. If you start to panic, find a quiet place on your own where you won’t be disturbed. Sit comfortably, and then relax each part of your body starting with your feet, until you reach your head. Bad experiences of the dentist can be the root of dental fears, especially if you’re over 50. But dental practices are not the clinical, unfriendly place they once were. You’ll still notice the smells and sounds, but much less than before. Equipment is much quieter, and instruments less noticeable. And it’s now possible to treat patients without pain. Come and see us for a complimentary “get to know you” appointment, and over a cup of tea, let us show you how things have changed. https://absolute-dental.co.uk/wp-content/uploads/2018/11/dental-fear-or-phobia.jpg 312 450 Absolute Admin https://absolute-dental.co.uk/wp-content/uploads/2016/11/absolute-logo-NEW1.png Absolute Admin2018-11-12 10:26:312018-11-12 10:26:31Fear of Visiting The Dentist, and how it really can be overcome!